At Cambridge, meanwhile, the mathematical tripos had classically been considered an appropriate foundation of a liberal education, instilling in students analytical habits of mind. By the time Thomson arrived, however, reformers had imported the rigor of French mathematics, exemplified in the work of Lagrange (1736-1813), Laplace (1749-1827), and Poisson (1781-1840). Having transformed mechanics in the eighteenth century, mathematicians were now applying advanced techniques to optics, producing striking evidence of the wave theory of light, and to heat, as exemplified in Joseph Fourier’s (1768-1830) Théorie analytique de la chaleur (1822). The tripos was quickly becoming a center of physical calculation and understanding. Thomson eagerly took the methodology to heart, importing it into the natural philosophy curriculum at Glasgow. At Cambridge and in his early years at Glasgow, Thomson responded negatively to the experimental and conceptual work of Michael Faraday (1791-1867) on electricity and magnetism, seeing it as mathematically ignorant. Thomson would soon come around to appreciating Faraday’s insights, reestablishing and developing the concept of the field within a mathematical framework. Following Fourier, Thomson was also interested in analytical treatments of heat flow. In 1847 he proposed the basis for a scale of absolute temperature. In the late 1840s, he (in dialogue with his engineer brother, James) dedicated himself to reconciling the engineering theory of Sadi Carnot (1796-1832) with the experimentation of James Joule (1818-1889), with whom he debated, on the interconvertability of heat and mechanical work. Then, in the early 1850s, Thomson coined the term “thermodynamics”, applied the term “energy” to the quantity conserved in Joule’s experiments, distinguished its “potential” from its “actual” (kinetic) forms, and (paralleling ideas of Rudolf Clausius) took the dissipation of heat from hot bodies to cold (what would become the second law of thermodynamics) as a fundamental feature of nature. He published his work in the five-part “On the Dynamical Theory of Heat” between 1851 and 1855. For Thomson, the energy concept quickly came to claim a central place in his physics. Beyond the concept’s clear analytical utility across fields, its cosmological, religious, and moral implications were appealing. Unlike Laplace’s eternally stable “system of the world”, the dissipative characteristics of energy clearly indicated that the universe’s store of usable energy was finite, proceeding from a crafted beginning toward an ordained end in an irreversible process. The energy that humanity wasted was lost permanently, and could only be restored through the omnipotence of God. When in 1861 Thomson set out to write a textbook with Edinburgh professor of natural philosophy Peter Guthrie Tate (1831-1901), the resulting Treatise on Natural Philosophy (1867) ended up being an advanced reinterpretation of mathematical physics in terms of energy, subjugating the long-fundamental concept of force to the status of a mathematical derivative. Following the delineation of the energy concept, Thomson’s attitudes toward appropriate physical argumentation took shape. Initially he had been a proponent of the practically-minded view that mathematics should reflect observable measurements while maintaining a neutrality toward ontology (an attitude Fourier had taken with respect to heat in contradistinction to the common view that mathematics should derive the consequences of the properties presumed of philosophically fundamental entities, such as atoms). Now, Thomson became increasingly comfortable with developing ideas concerning the unobservable structure of matter and the mechanics of its interaction through the ether. Among other positions, he was unconvinced of the reality of rigid, indivisible atoms, preferring a hydrodynamical vortex model. From the 1860s, his insistence on mechanical models of physical processes would famously bring him into conflict with the electromagnetic theory of James Clerk Maxwell (1831-1879) and his followers, who could boast analytical success and theoretical coherence, but no satisfying mechanical model. Thomson also pursued a number of intellectual interests extending from his role in consolidating the discipline of mathematical physics. 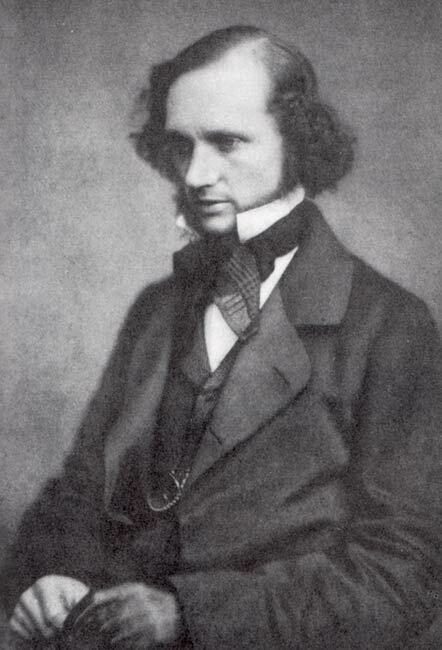 Following Fourier and Hopkins, he noted early (from 1844) and often the implications of thermodynamics for establishing the age of the earth and sun, which he calculated were much shorter than those required by geologists (notably Charles Lyell) and naturalists. Accordingly, from the 1860s, he became a vociferous opponent of Charles Darwin’s (1809-1882) widely-regarded, popularized, and debated theory of evolution. Thomson was also deeply concerned with machinery and engineering. As noted above, his brother James was an engineer, and the principles of engine design and functioning deeply informed his understanding of work and heat flow. In 1840, Glasgow had established the first engineering chair in Britain. In the 1850s, Thomson became deeply interested in the theoretical and practical problems of the new art of electrical telegraphy. He consulted with the telegraph industry, and became deeply involved in the establishment of trans-Atlantic telegraphy (accomplished briefly in 1858, permanently in 1866). Conversely, he used telegraphic transmission as a model for developing ideas on electricity and magnetism. He was also a major figure in the setting of electrical standards and in the design of instruments, particularly electrical ones, entering into the instrument-making business in the 1860s. These activities made him a wealthy man. From the 1860s to the 1880s, Thomson was one of the towering figures of British science. In 1892 he was honored with a peerage, becoming Baron Kelvin of Largs. In the 1890s, he abandoned his long-sought model of vortex atoms, recognizing its unworkability, but never accepted the electromagnetic theory of Maxwell, which he had blasted in his 1884 Baltimore Lectures. In his later years, the position made him a conundrum to the latest generation of elite mathematical physicists. Much has been written on Thomson, but if you require more than what is provided in the 800+ pages of Energy and Empire: A Biographical Study of Lord Kelvin (1989) by Crosbie Smith and M. Norton Wise, you are probably already a specialist in the history of 19th-century physics.